Copper, orange, yellow/amber, and brown lens tints are helpful in low-light conditions because they make an environment appear brighter. They also enhance contrast and depth perception and are great for overcast, hazy and foggy conditions. Also, these lens tints block blue light. Blue light, with its shorter wavelength, scatters easier than other colors and makes focusing on objects difficult. Removing blue light improves sharpness and depth perception and reduces eye fatigue. These tints do cause some degree of color distortion, though brown/bronze lenses do so considerably less than the others. People who drive a lot prefer brown and copper tints for increased visual clarity but also because they enhance the color red. So, since brake lights, stop lights and tail lights are all red, they’ll really stand out. The easier it is to see these critical warning signals the faster reaction times become. Baseball players, golfers, cyclists and hunters often prefer yellow and amber tints. In overcast and hazy conditions, the extra water vapor in the air increases the scattering of blue light. This decreases visual acuity and depth perception. Eyes must then work harder, which results in eye fatigue and sometimes headaches. Yellow and amber tints reduce the impact of blue light in these conditions. Yellow tinted lenses also benefit anyone spending a lot of time in front of a computer screen. Computers, game consoles, smartphones, etc. produce a lot of blue light. Wearing yellow/amber tinted eyewear blocks blue light to help reduce eye fatigue and strain. Recent studies now show even more uses for lens tints that block blue light. Turns out, these tents also have potentially significant health benefits. Sleep problems – Excessive light, especially blue light given off by electronics and ambient light, suppresses melatonin. Melatonin, our natural sleep hormone, helps us get to sleep. Wearing lenses that block blue light for an hour before bed may prevent melatonin suppression, thereby allowing individuals to fall asleep quicker. Bipolar disorder – Preliminary research shows that blocking blue light may help stabilize mood for people suffering from some forms of bipolar disorder. This dark therapy works primarily the opposite way as light therapy for depression. Macular degeneration – Excessive blue light may be one cause of age-related macular degeneration, the leading cause of blindness in the elderly. While copper lenses block blue light better than the other lens tints, they may be too dark for many to wear inside. Yellow, amber, brown, and /bronze lenses still block enough blue light without the dimming effect and can still produce some of the same benefits. More research is needed, but exposure to blue light clearly has an impact on health. In addition to causing color distortion, eye strain, and headaches, blue light may also increase cancer risk and have connections to diabetes and obesity. Replace night lights with dim red lights to reduce exposure to blue light. Avoid watching television and using computer screens an hour or two before bed. Spend more time outdoors since getting more natural light during the day helps regulate the body’s natural rhythms. Finding ways to regulate exposure to blue light may help you sleep better, preserve eyesight and stabilize mood. It may also benefit overall wellness and longevity. Take time today to assess your situation to determine if blue light is significantly impacting your health. Do you have questions or comments about this article? We’d love to hear from you! Please leave a comment below. Do safety glasses block UVA and / or UVB radiation? Yes. Safety glasses with polycarbonate lenses block 99.9% of UVA/UVB rays without any extra or special coatings. Is there a polarized, yellow tinted, bifocal, pair of Safety glasses on the market that is Z 87 compliant? Thank you for your question. 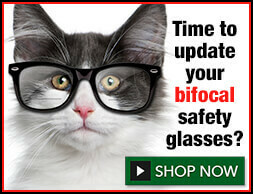 There are a few bifocal safety glasses available in a Yellow lens tint, unfortunately, none of them are polarized. Hi Michael would you know of tinted contact lenses would have the same protective on blue light as the spectacles? I’m not aware of any contact lens brands that block blue light. Great article. I had insomnia for 40 years until I discover glasses to block blue light. Will amber/yellow/brown tint glasses help block the glare from these new auto headlights? The intense blue/white light from newer vehicles is blinding. I don’t recommend wearing tinted eyewear for nighttime driving. Tinted lenses will slightly reduce headlight glare, but they also reduce necessary ambient light, which presents a danger with already dark conditions. Experts recommend, and I can vouch for this, cleaning the inside of your vehicle’s windshield will provide more benefit than wearing tinted eyewear. The haze that builds up on the inside of a windshield causes the light from oncoming headlights to refract and scatter, which amplifies the glare and discomfort. Other than the suggestions above, there is no perfect or ideal type of night driving glasses. There are simply too many variables. A person’s sensitivity to light, natural ability to see in the dark, varying environmental light conditions and driver objectivity have to be considered. I have a pair of Lens Cover Fit Over Polarized sunglasses with brown lenses. The product description does not say that they can block blue light. Do I need to buy a pair of sunglasses with amber or yellow lenses, for using PC and TV, to help me sleep? Should they also be the polarized kind? LensCovers does use UV400 technology, so harmful UV rays are being blocked for you. That’s good. Virtually all brown lenses block some level of blue light, so your brown lenses will naturally block additional blue light up to a particular wavelength — perhaps around 430-450nm. That will help. Of course, the amount of blue light they block will vary with the actual lens tint and the manufacturer, among other things. The brown lenses you own will not block as much blue light as those of the BluGard line that we sell. However, they may still be adequate for your needs. Only you can determine if you are falling asleep and staying asleep sufficiently after using your brown lenses. Please note: polarized lenses will NOT offer any additional blue light blocking benefit in your indoor, nighttime application. You may even find that some polarized lenses cause subtle color or pattern distortion on your monitor or TV screens. This is perfectly normal when viewing screens through polarized lenses. That website does not mention copper lenses or orange lenses. Why are copper lenses advertized as a good blue blocker? They look like brown lenses, which you say are a partial blue blocker. Your Bluegard Line has sunglasses with orange lenses. Is orange a better blue blocker than amber or yellow? Is orange a better blue blocker than amber or yellow? Usually. When terms like Blue-Blocker were introduced many years ago, they were used in the context of sunglasses which, among those used for such a purpose (blocking blue light), were usually some form of copper, dark amber or bronze. For typical sunglasses, wearers choose a lens tint that is comfortable for them. “Comfortable” usually means a soothing, pleasing color that may or may not enhance colors and contrast. But it generally doesn’t refer to one that distorts color perception too much. While all variants of tints in what I consider the brown family (Brown, Bronze, Copper, Orange, Yellow, Amber) block some level of blue light, the amount of blocking varies from one tint to another. Copper is/was considered the Blue Blocker because it blocked the most blue light of those tints that would typically be used for sunglasses: brown, bronze, dark amber (not to be confused with light amber or yellow). Orange was never in the conversation because it was never used as a sunglass tint. This is probably due to two key factors. First, most oranges have a light transmission in the 35-50% range, and most people like their sun blocking lenses to be darker, around 10-20% light transmission. Second, orange distorts color perception more than any of these lens tints. The amount of color distortion we see through orange is more than most people are comfortable with for long-term use, especially outside where we like to see green grass, green trees, blue sky, etc. The development of orange lenses is more recent than that of the other colors. Even newer still is the understanding of how much blue light is blocked by most orange lenses. But just like different brown lenses can vary from other browns, and coppers can differ from other coppers, not all orange lenses are created equal. There is a range of blue light blocking just as there is a range of overall light transmission. But it’s fair to say that, on average, orange will block more blue light than other colors. The orange lenses used for our BluGard nighttime eyewear block 100% of blue light up to 540nm. That’s staggering if you think about it. Is it the most comfortable lens tint for general daily use? No. It does distort color perception. But for those who need to block blue light in the evening so that they can sleep more easily, it absolutely serves that function. The amount of blue light blocking that JP indicates on their website for their Amber and Yellow lenses is higher than we typically see for those tints — especially the yellow. That doesn’t mean it’s not true. It’s just uncommon to block that much with those tints. It helps that their yellow is a dark, polarized yellow with a light transmission under 31%. This is much different than most yellow lenses in the mid-80% range. Not all eyewear manufacturers make a copper lens. It could be that their dark amber takes the place of and matches most of the benefits of a copper lens. I would have to see that lens up close to know for sure. To sum all this up, I can say that, while it depends on the specific lens, orange will usually block more blue light than other colors. Often it will come down to what a wearer is using the glasses for and what their environment will be during that time. I would like to know if wearing amber glasses during daylight in bright sun will increase the brightness and UV or not ? is there any danger to eyes if people are wearing amber glasses in daylight. Will that cause any damage to eyes? No, wearing Amber tinted polycarbonate lenses will not cause damage to your eyes in daylight conditions. My eyes are light sensitive, so wearing Amber lenses on a sunny day would feel uncomfortable to me, but my eyes would not be damaged. Amber tinted polycarbonate lenses block 99.9% of harmful UV light, so you don’t have to worry about increased UV exposure. Keep in mind, you should never look directly at the sun, even with dark sunglasses. Can wearing yellow tinted plastic lenses hurt ur eye sight at all? Thanks for submitting your question. Please see my response to Jamal above. Because the nighttime glasses are said to block 100% of all blue light, does this mean they can protect your eyes from all the bad light that comes from computers and TVs? I don’t care about color distortion so I’m really considering getting a pair just for computer/TV use. Would you say that this is a good idea especially since i spend hours everyday looking at screens? Or would you recommend I get a different type of glasses. Depending on how sensitive you are to blue light, you may not need to block 100%. For example, Gunnar Computer/Gaming Eyewear blocks 65% of harmful blue light in the 380-470nm range, which is usually sufficient to alleviate most blue light symptoms. Plus, Gunnar Eyewear allows you to keep the majority of your color recognition. If Gunnar Eyewear is outside your budget, then any pair of safety glasses with yellow lenses would be a good start. We offer several styles for under $8.00. I would only recommend using a bronze/brown lens if you need maximum blue light protection because the color distortion is greater than a yellow lens color. Hello Michael, I saw your response to Jamal about daylight wear and I have a follow up question for you. I have a group of technicians who work indoors and outdoors in Arizona. We deal with a lot of sunshine down here and I have a hard time getting them to consistently wear their safety glasses. The excuses range from too bright to wear clear ones to can’t see inside with the smoked ones. Any suggestion on a lens color that can either do well in both bright sun and indoor conditions or one that you would recommend primarily for bright sun? After all, most of the conditions that concern me are usually outdoors. The situation you’re describing can be tricky due to the drastic difference between bright sunlight and indoor lighting, especially for a single lens color. Here’s a list of possible solutions that my staff came up with. Bolle’s Twilight Lens may offer a happy medium between a clear and dark lens. The Brown lens color is soothing to the eyes, blocks 43% of visible light and 76% of Blue light. The Twilight lens is a tad darker than traditional Indoor/Outdoor lenses, but it doesn’t have the mirrored coating. You could try safety glasses with Photochromic lenses. However, besides being more expensive, Photochromic lenses have some cons you should be aware of. 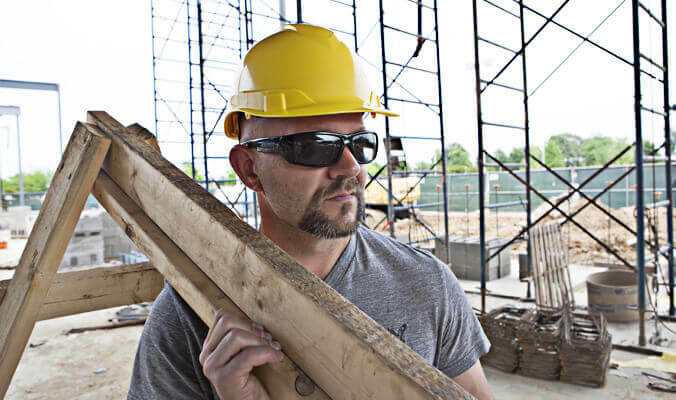 Here’s a link to one of our articles about Photochromic Safety Glasses. Issue two pairs of safety glasses to each technician. 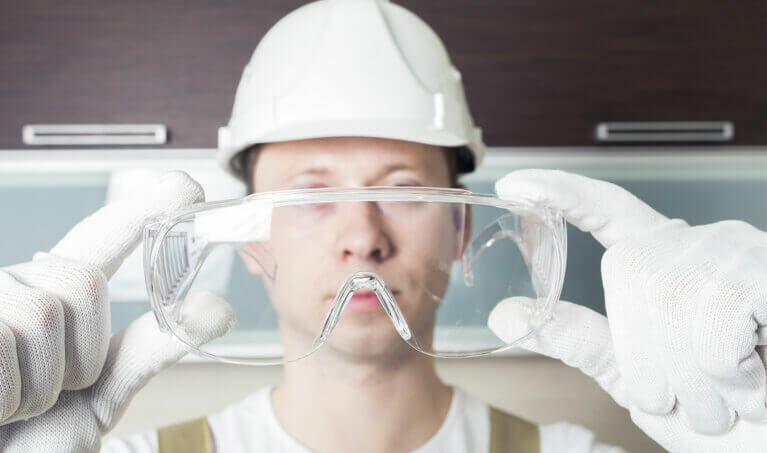 Supplying a pair of clear and tinted safety glasses would ensure they have the correct lenses no matter what lighting conditions they’re exposed to. Obviously, this means they have to keep track of multiple pairs of safety glasses, and loss or forgetfulness may become an issue. Please don’t hesitate to contact me if you have any other questions. What about smoke and mirror lens, do they block bkue light from computer screens? Traditional Smoke/Gray lenses do not block a significant amount of blue light. However, Uvex’s SCT (Spectrum Control Technology) Gray Lens does block 93% of blue light, but this lens is too dark for indoor use. Most mirrored lenses coatings do not provide a significant reduction in blue light transmission. I just learned today that eyeglasses with orange lenses are beneficial for people with a migraine. My daughter is struggling with difficult migraines and gets headaches daily. While we are treating this with a doctor and exploring diet options I was wondering if I should buy her some glasses to help her out. Can you recommend a type that a fifteen-year-old fashionista girl would approve of? Have you heard of these claims and what do you think of them, if so? Finding a treatment that helps reduce the symptoms of Migraine headaches can be tricky, and I’m definitely not an expert. However, research has demonstrated cases were wearing tinted lenses can help some people who suffer from Migraine headaches due to light sensitivity. In fact, we wrote a recent blog article about tinted lenses and Migraines. The colors Orange, Yellow, Brown, and Copper, block a significant amount of Blue light, which is known to cause eye strain and fatigue. I’m not sure if light sensitivity is contributing to your daughter’s headaches, but wearing some tinted eyewear is worth a shot. Keep in mind, you may need to experiment with lens colors until you find one that provides the most benefit. 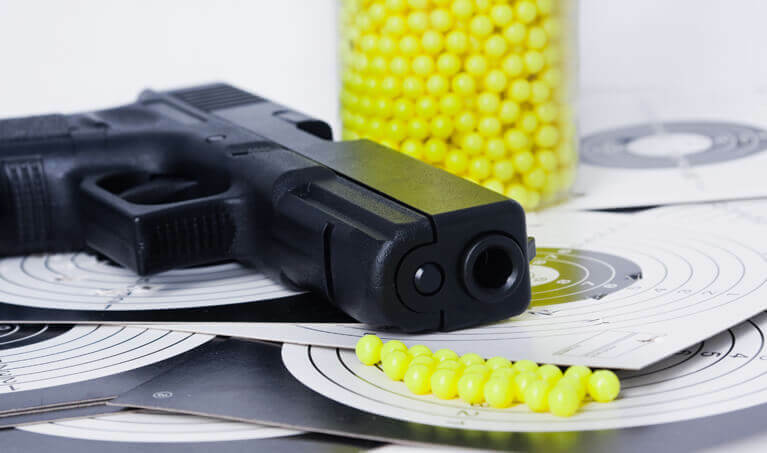 Finding stylish frames with Orange lens options can be a bit tricky because this combination is typically designed for industrial and shooting range applications. You can browse our selection of Safety Glasses with Orange Lenses here. However, the options for Yellow tinted lenses opens up significantly. We’ve had several customers mention Gunnars Digital Eyewear, which has some cute styles for women, has reduced eye strain and the onset of headaches, but none of them specifically said Migraines. Basically, you’ll need to experiment until you find something that works. You may find that wearing tinted eyewear does nothing, but I’m inclined to believe it will provide some help. I wish you and your daughter the best of luck. Michael – I started wearing orange (“persimmon”) lensed sunglasses years ago for my bike commute, then added yellow and recently i like a rose or some form of red. These tints tend to relax my eyes more and I’ve found that I put them on for everything. What’s interesting is that almost every person who tries my sunglasses immediately takes them off complaining that they’re “too bright!! !” I consider my eyes to be extremely light sensitive (driving at night is painful due to headlights), but I do not like the darker lenses. These lighter tints lift my mood. Maybe the emotional impact on me is unusual and why my preferences are where they are? Any ideas? When it comes to light sensitivity and lens color preferences, everyone is different. Even in our small office, we’ve noticed significant differences in lens color preferences depending on light conditions. Personally, I enjoy Brown Lenses versus any other color. To me, Brown Lenses are incredibly soothing and have the added benefit of making the color Red really stand out, which in my opinion makes them the perfect driving lens. The good news is your Rose colored lenses make you happy, and you don’t have to worry about hurting your eyes. Even if other people think your choice of lens color is too bright for them, you’re not in any danger. Especially if your glasses use polycarbonate lenses because they block 99.9% of all harmful UV radiation. The first thing you need to do is check with your safety coordinator and make sure tinted lenses are allowed in your facility. If you’re suffering from eye fatigue or sleeping problems I would recommend wearing a light yellow or light brown lens color. The Bolle ESP lens is a perfect example. If you perform regular visual inspections or there is an excessive amount of yellow or sodium vapor light, then I would recommend a light-blue lens. Hello, and thanks so much for making yourself available to answer questions! I am a golfer looking for sunglasses that will enhance contrast, but also reduce glare. These would be “dual use” sunglasses, as I don’t really want to buy one pair for driving and one pair for golf. Additionally, they need to be prescription, and I have a need a very strong prescription in my right eye (+6.25?). Any thoughts here as to which way I should go with lens type/color? I have heard amber and rose are best for golf…. A dual-purpose golf lens can be a bit tricky because the requirements for golf and everyday sunglasses are usually different. Typically, a golf specific lens will feature a rose-like tint, as this color naturally mutes greenery and enhances the view of a white ball. 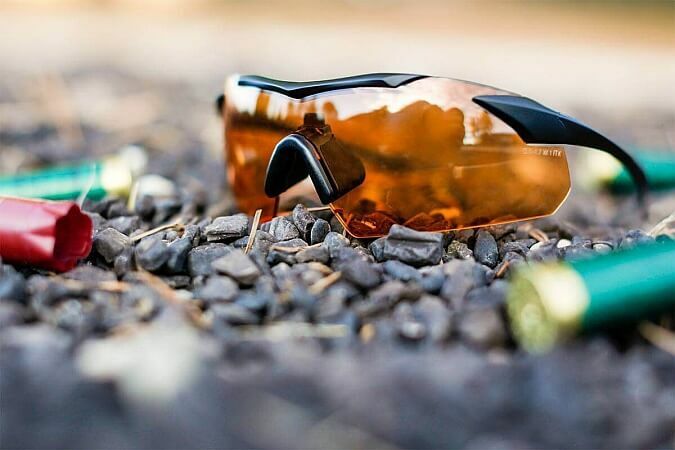 A perfect example is Oakley’s Prizm Golf series. The next best lens color would be light to medium copper or standard bronze. You won’t have as much contrast with a white ball as a rose tinted lens, but this color makes for a better everyday tint. 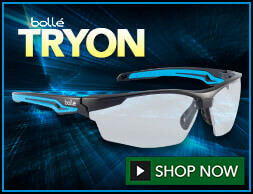 Since you need prescription sunglasses, I recommend you look at the golf specific category at SportRx.com. 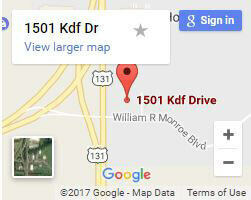 They have an extensive assortment of brand/styles, and their prescription services are top notch. 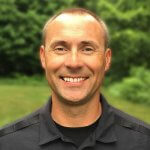 Mr. Eldridge, Thanks for a very interesting article! I see by your shorten bio that you very well may be the perfect person to ask. I am new to shooting competitive long range rifle matches (500-1000 yds), and we use an electronic scoring system. 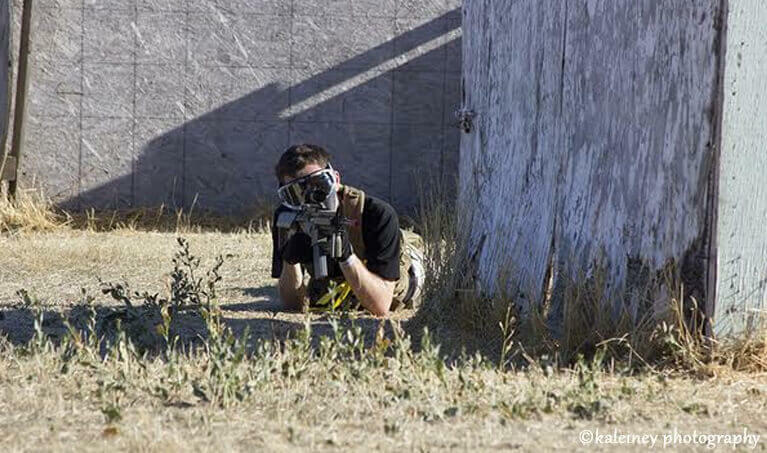 On particularly sunny days I will wear my Oakley ballistic sunglasses with virtually black lenses. We are permitted to use personal tablets on the line tied into the scoring record, however; seeing the screen is impossible with these lenses. Will the orange (variants) you mention above allow reading of a tablet screen without needing to flip my sunglasses repeatedly? Thank you in advance. It sounds like your Oakley sunglasses may have polarized lenses. Due to the way polarized lenses filter light, they often cause digital screens to appear black and unreadable. Sometimes, rotating the screen from portrait to landscape will help, but it’s not guaranteed. If your sunglasses don’t have polarized lenses, then switching to a different lens color may help. I don’t know what brand of tablet you’re using, but I do know iPads screens are notorious for being hard to see in bright sunlight and different lens colors may have little effect. I just bought a pair of amber glasses, with prescription (-0.5,-1). Can I wear these glasses all the time, without it increasing my eye power (magnitude wise)? Rohith, if you purchased prescription glasses, I would suggest asking your optometrist what the recommendation for usage is, based on your exam and/or meeting with them. Great page and info, though the choice is a bit overwhelming and I could use some suggestions. I work on the computer all day at home under average natural light (not too strong, sometimes low). Getting into my mid-forties, am having a lot of trouble with eye strain on the computer and light sensitivity in general. By the sounds of it, I should be looking at something with yellow or amber lenses for my computer use. I’ve never found wearing glasses very comfortable, particularly on the bridge of the nose and if pinch top of ears. Can you give me any suggestions on glasses I could consider at different price ranges? Jabalong, so sorry for the delay here. I welcome you to check out a couple articles that are relevant to your question. To answer your question, I would suggest Gunnar computer eyewear. I purchased a pair of yellow tinted glasses that were advertised on tv that were supposed to help you to see at night. They go over your regular eyeglasses. They did not work and I was going to return them when I used them while viewing my computer screen. They made a big difference and everything was clearer and easier on my eyes. I know that combining yellow and blue will give you green which I am almost positive is happening. We used to use the same effect when copying a blue document at work. Placing a yellow tinted plastic sheet under a blue document will make a copy sharper. I understand that this is why lawyers insist on black ink for signatures on legal documents. Without knowing exactly what was purchased, I cannot comment on that product specifically. The biggest benefit to wearing yellow lenses while viewing your screen is the reduction of blue light. We’ve had several articles about blocking blue light that I encourage you to read. Blue light is a real thing, can be a real problem, and reducing it is a real goal for a lot of people. Yellow is not the best tint for reducing blue light, but it is the tint that doesn’t darken too much or distort our color spectrum too much. – How Do You Choose the Best Lens Tint? My daughter has a rare condition that is called Thygheson Punctuate Keratitis (TSPK). Usually, patients with this condition experienced photophobia, tearing, burning, foreign body sensation and irritation during exacerbations. Working on a computer is extremely hard for her as well as watching to a projector at school. She uses now prescription glasses with a brown tint that goes clear inside a room and darker outside, but I want to know your input about which tint of glasses could be useful for her. Thank you for your question. Your daughter’s condition certainly presents some challenges. Given the physiological implications here, I would hesitate to make any hard recommendations, and would rather defer to a licensed ophthalmologist for any technical information. But I can offer these tidbits below. 1) Given what I’ve read from the link you provided, it seems possible that the mere sensation of air or wind across the eyes might be enough to trigger tearing, burning or other discomfort. It might be worth looking into eyewear that blocks the majority of air from passing in front of her eyes. Something like Foam-Padded Eyewear might do the trick. Often, reducing airflow in eyewear leads to fogging problems, but such glasses usually include an anti-fog coating on the lens to help eliminate that problem. If not a fully sealed style, then something that at least reduces airflow. 2) From your description, it sounds like your daughter has been prescribed eyewear with photochromic lenses. That is, they are mostly clear in their natural state, but will darken with exposure to ultraviolet rays (i.e. the sun outside). I wonder if the clear state of these is too light for her. Clear lenses typically transmit 88-94% available light. The “Clear” state of photochromic glasses might be in the 80-89% range. If her eyes are ultra-sensitive to light, you might consider a lens with a maximum transmission around the 50-70% range. Photochromic lenses are not limited to Clear and whatever dark color is chosen. You should be able to find some that begin in that lower range and only get darker from there. 3) A mirror coating is a simple way to reduce light exposure a little more. There are varying densities of mirrored coatings on lenses. Depending on the lab that makes her lenses, you should have a choice of how reflective the mirror is, regardless of the base tint itself. A more reflective mirror will naturally block more light. I wish you and your daughter the best of luck in finding an ideal solution. I can definitely attet to blue light affecting sleep. I’ve been using programns like f.lux and redshift for a few years now which allow you to control the “temperature” of your computer screen, so to speak. it significantly reduces blue light although the increased red wavelengths mess with colors. usually it’s no big deal though. One day, I’d disabled redshift in order to do some artwork since it was very color sensitive. I worked for several hours and had a lot of difficulty sleeping that night. I was confused at first then realised just hoew long I’d been exposed to blue light. Heck, I used the programs so much that blue light from screens hurts my eyes. I’ve even had to install a similar app on my phone because of it. I have recently been looking on Amazon at Northland Outpost’s Amber Blue Blocking Glasses and it seems they are just what I am looking for because I need something to go over my regular reading glasses. My question is, do these blue blocking glasses mess up my regular prescription or should they be fine? I have macular degeneration and my opthamologist said they prevent further deterioration. Hello, Angela. In theory, they should not harm your corrected vision. 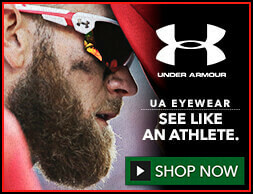 Admittedly, I am not familiar with the brand or the quality of the eyewear. A laser focus test on the lenses would help ensure accurate vision, but that’s easier said than done. This test reveals how accurate and precise the lenses of eyewear will allow your focus to be. Two lasers are set approximately eye distance apart and aimed off-parallel at a point on a wall, say 10 feet away. This simulates our eyes focusing on a spot. A pair of glasses is placed in front of the beams as if being worn in front of our eyes. The two beams should not move (much) from their original focal point. If they do, it could indicate that the frame is not perfectly symmetrical, the lenses are not perfectly cut (or correctly decentered), lenses are not fitting into the frame symmetrically, or a combination of these. Sadly, the above test reveals flaws even in eyewear considered good or great. Often our eyes can correct or overcome these flaws that are nearly impossible to detect without such a test. But it’s likely that such flaws in eyewear worn over prescription glasses could have a greater impact on the correction. If the eyewear you seek is well made, you should be fine. I cant even see a white paper with its true color,i see that in yellowish color. Does that happen (common) with normal lenses (myopia)? I would probably ask you to elaborate on your question so that I have a better understanding, specifically pertaining to “normal lenses”. Are you referring to eyewear lenses or your eyes’ lenses? And, if eyewear lenses, which color? In my limited reading about Myopia, I am not aware of any direct impact on color perception. Re the comment by John McNamara July 8, 2017 at 6:25 pm, I recently put on a pair of yellow cycling goggles to protect my eyes a bit from dust whilst I was working in the garden. The weather was overcast, and to my amazement, my mood completely changed, I became happy with a spring in my step!!! Maybe the emotional impact of this tint was particularly great on me because I am a classic SAD (Seasonal Affective Disorder) sufferer, and in fact that was one of the reasons I moved to sunny Portugal from North Europe many years ago. Fortunately it’s not overcast here very often, and so maybe that’s why I didn’t discover this effect before, but I was most intrigued by it ! Hello, Sue. You are not alone in your experience with the tint. It’s not often discussed, but our view is more closely linked to our mood or emotions than people realize. We have customers who refuse to where a gray/smoke tint because it’s too dark and depressing. While yellow or amber lenses distort our color spectrum a bit, they most certainly brighten our view of the world and, for many, that brightens their mood. Do gunnar glasses causes sensitivity to sun light or natural light. Because i felt pain in eyes whenever i get out from office to look outside. Can i trust them blindly? The short answer is no, they should not cause sensitivity to light. If what you’re experiencing did not occur prior to your use of the glasses, I would examine what else has changed, if anything. Did you wear any eyewear previously? If so, what kind of lenses? How long did you use these glasses? Which lenses from Gunnar are you now using? Did your office environment or lighting change? Did your monitor change? There are a number of factors, or a combination, that could be affecting your eyes now. Everyone’s sensitivity is different; sensitivity to light, to eyewear of any kind, to changes in light. I would suggest contacting your Ophthalmologist or Optometrist to have them dig for answers. Pale amber or nearly clear lenses should not be causing discomfort, let alone pain. I use a scanner at my work a red laser scanner I scan boxes. I was wondering what safety glasses would be best to protect my eyes? It’s a good, proactive question to ask, Lace. Laser scanners are designated by OSHA as Class II devices. Their output is less than one milliwatt and do not pose a threat to skin or eyes with brief exposure. The OSHA requirement for a Class II laser is a caution label; it is not considered hazardous enough to require protection, providing the user does not willfully stare into the light source. If you would still like a suggestion, please provide the make and model of your scanner or the frequency of the laser it produces, and we’ll determine that for you. Bob, I am not aware of anything negative that these colors can or will “do to” one’s eyes, if that is what you’re asking. As for the benefits, I will welcome you to read the article again. There are many explained. Excuse me, I have a question regarding shaded lenses for sport glasses. At night I play football (soccer) and the light poles that illuminate the field have about 10,000 w of Metal Halide lamps blaring at us. As a goal keeper these poles are placed at my 300 and 60 degree marks making it difficult to see in these ranges…. I am getting ready to get a new set of sport glasses and my eye doctor says that he can get any shade of lens that I want. Therefore, my question is, what is the color I should be looking for? Preferably, I want something to take the edge off while looking at the lights, but not so badly that it darkens the field. Again these are Metal Halide lights, strong in the 350-550nm range. I was thinking amber….but that is just a guess. Please let me know your thoughts. Richard, my first thought when reading this was a light Rose tint, perhaps a Rose #2 in the 65-75% range, with a flash mirror coating. The Rose will provide nice contrasting benefits, while muting the green of the pitch and making a white ball stand out more. The rose will be better than amber (or other earth tones) against the green playing field, and will also make the white of the ball pop. The flash mirror is a lighter mirror coating that will help block some of the glare from the lights. It should not be a dense mirror that will darken your view or turn the lenses into a full silver mirror. Good luck. hi. i have astigmatism. .i use brown “A”tint eyeglasses. .can this brown “A” tint eyeglasses protect my eyes from radiation, blue lights and UV? .or it will damage my eyes? RB, I have searched and searched, but cannot find anything about brown “A” tint lenses. I cannot speak on the “A” tint without knowing more about it, but I can answer most of your question. The UV (which is the radiation you mention) protection comes from the lens material and/or coating, not from the tint itself. If your lenses are polycarbonate, they inherently block 99.9% of UV regardless of color. Some materials do not block as much, so you might consider looking into what your lenses are made of. Now, as far as blocking blue light, that does come from the tint. Generally Brown does a somewhat decent job of blocking blue light. It is usually better than yellow, amber and bronze, but not as good as copper or orange. Brown is also more neutral in terms of color distortion, so it’s a more comfortable tint to use long term. I don’t know what all activities or applications you may be involved in — I’ll assume you’re not trying to weld with it — but generally speaking, using a brown lens will not damage your eyes. Can I just buy a cheap, department store pair of yellow tinted glasses to reduce the blue light from computer use? Or do I have to look online for specialized “Blue Light Blocking” glasses? Thank you in advance! Rebecca, that’s a fair question. It’s true that most yellow or pale amber lenses will reduce some blue light. Some lenses are certainly better than others, and some yellow tins block more blue light than others. You usually won’t find yellow being considered “blue blocking” per se, as yellow typically blocks in the range of 35-70% of blue light, depending on the lens, and more commonly in the 40-65% range. Copper, Orange and some Browns will block significantly more blue light, however, and are more commonly referred to as Blue Blockers, with Copper leading the way in that nickname. Some oranges will actually block more than Copper, but it’s not a particularly pleasant or soothing tint to wear, especially long term. Some of the better “computer glasses” on the market, like Gunnar, will not only have an optimized tint for monitor face time, but also an anti-reflective coating and a mild/subtle magnification to further reduced eye strain. Most basic glasses off the shelf will not offer that. HI,I am living now for some time in Panama(CA) ,6 months per year the sky is always cloudy,visibility contrast driving after hours get your eyes tired. May an amber sunglass help? Could U give a model of a good brand? John, I would look at something in the brown-to-copper range. This can include a rose-copper. These colors will improve contrast in cloudy or hazy environments, are soothing for all-day use, and are not overly dark. Check out these links for safety glasses by color (filters set per result). They are sorted alphabetically. Attractive sunglass-like styles are mixed in throughout. You might also consider browsing your favorites brands of sunglasses by clicking “Sunglasses” in the middle of the top blue menu bar on our website. Thank you for the question, Jan. Yes, you can wear Yellow tinted sunglasses during the daytime. The Yellow lens color may seem brighter, but you’re still reducing the total amount of visible light that reaches your eyes. I race my sailboat on the Hudson River in Haverstraw Bay on Wednesday nights. Now the sun sets before 8pm and sometimes before the race ends. When it gets dark it hard to see up and down river for commercial traffic in the channel: Tugboats pushing barges at night are hard to see. They blend with the lights on shore. Will yellow lenses help or do you have another suggestion? Thank you for your question, Tony. 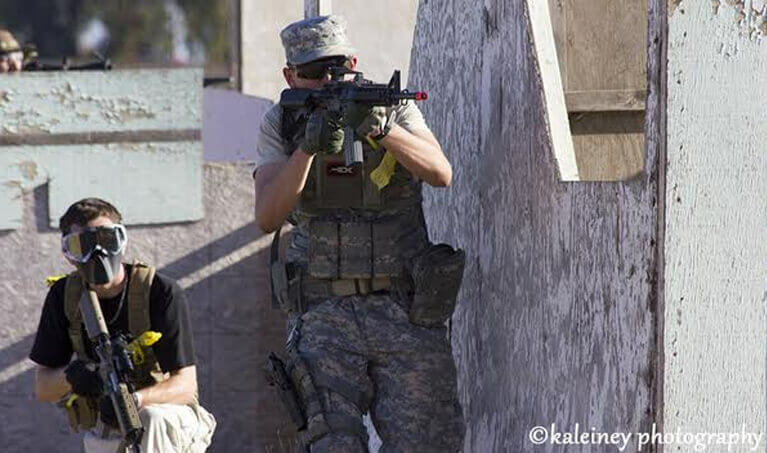 I don’t believe a tinted lens will help in your situation. Wearing a yellow lens will actually reduce the amount of light your eyes receive, which may reduce your visibility even more. It’s possible an anti-reflective lens coating may help, but there are no guarantees. I wish I could offer a better solution. I have mydriasis in my right eye from injury with a crowbar. I am having some pain when is view a monitor for 5 minutes or more. I am a teacher so I want to get the best amber colored lenses to block blue light and sunlight bothers me also now. What do you recommend? Thank you for your question, Sue. I would recommend a pair of Gunnar computer glasses for indoor blue light protection. Gunnar’s are available in several different frame styles, and colors and their Amber lenses do an excellent job of blocking blue light from computer monitors. In fact, I wear a pair of the Enigmas every day. If you require ANSI rated impact protection, then I would recommend the Crews VL2. The VL2 blocks 41% of blue light using a clear lens, which allows for better color recognition than an Amber lens. I have ordered a Stabila brand red laser level, model LAR 350. It is a laser Class 2, 635 nm and <1 mW. Is it necessary/should a person wear glasses while using it and if so what type(s) of glasses would be best/work to protect a person's eye sight? Thank you for your question, Loran. According to NOIR Laser, the <1mW is considered eye safe. However, if you would prefer to wear eye protection NOIR recommends a DIA filter. Please keep in mind that using a DIA filter would make the beam invisible, so may defeat the purpose of using a laser level. Do you recommend I buy yellow tinted prescription glasses for my everyday use? Thank you for your question, Wilson. To be fair, I need more information to understand your unique situation and work environment before I can recommend any lens color. I work for a manufacturing company. Our offices and common office areas have recently been changed from fluorescent to overhead LED lights and I work at a computer most of my day. Ever since they installed all of this lighting my eyelids have been twitching and I’ve been experiencing eye strain and a disruption in sleep patterns. I also need safety glasses for when I go out into our plant. The plant also has many very strong LED overhead lights. Have I made the right choice? Or would you recommend something else? Thank you for your question, Nanette. The Bolle Override with Yellow lens will definitely help block the blue light produced by the LED lights. The only downside is Yellow lenses can distort color recognition. An alternative would be the Crews VL2 Safety Glasses with their MaxBlue Lens. The MaxBlue lens blocks 41% of blue light with a very faint mirrored lens which will give you better color recognition. The NoIR BlueGard is also a good choice if you’re suffering from sleep pattern disruption caused by excessive Blue Light exposure. Again, color distortion can be an issue, but the BluGard lens does provide maximum Blue Light protection. I also recommend trying to reduce your overall screen time while at home if possible. These devices also produce a significant amount of Blue Light which can contribute to your sleep pattern issues. Are so called “computer glasses” any better than normal UVA/UVB protective sunglasses with amber tint when it comes to working on a computer for long periods? Thank you for your question, Paul. In regards to blocking blue light, both computer glasses and simple yellow/amber tinted safety glasses are about equal, generally speaking. There will be subtle differences depending on lens coatings and tint variations. Typically, the most significant difference between the two is in lens clarity and frame aesthetics. Computer glasses tend to be more expensive because they use better lens materials and lens coatings for improved optical clarity. Plus, their frames are usually more attractive. I’m trying to avoid resorting to Gunnar glasses mainly because I’ve read that there’s slight magnification in all their lenses by default. There’s no getting their glasses without the magnification. Thank you for your question, Johnny. Your comment about the Gunnar eyewear is correct. In regards to the Crossfire styles you’ve listed, they would do an adequate job of blocking blue light (about 65%) but can be somewhat dark as their average visible light transmission is around 50%. An excellent alternative to Gunnar eyewear is the Crews VL2. The VL2’s lens blocks 41% of blue light and has a higher visible light transmission of 88% which leads to improved color recognition. Plus, the VL2 is ANSI Z87.1+ rated, so you could wear them for impact protection as well. Hi Michael. I’m very impressed with your knowledge of vision issues. I’m 81 and have AMD in, what the doc says, is a moderate stage. I certainly suffer from bright sunny light during the day, and at night in the dark. I still compete in triathlons and I’m looking for the best solution in sport glasses that I can wear for cycling. What is the best color lens? It appears, by ready many of your replies, that I should pick a yellow, orange or brown lens. Maybe I should also wear these glasses all day? Any suggestions and feedback will be appreciated. Thank you for your comment and question, Gerry. Let me start by saying that I’m impressed by your level of physical activity. Competing in triathlons at any age is an outstanding accomplishment and deserves to be recognized. In regards to light sensitivity, I would recommend a brown lens. I suffer from light sensitivity myself and find the most relief from brown lens tints. Brown, in my opinion, is a soothing color and does an excellent job of blocking blue light, so you’ll enjoy increased contrast and depth perception. Plus, brown tints highlight the color red. Since you do a significant amount of running and bike riding, the increased visibility of red will make vehicle brake lights and stop lights more noticeable. I hope my suggestion helps. Feel free to comment back if you have additional questions or concerns. Good luck in your future training and competitions.